Ambulance paramedics deal with medical emergencies, as well as complex non-emergency hospital admissions, discharges and transfers. They work as part of a rapid response unit, usually with support from an ambulance technician. As an ambulance paramedic you could be dealing with all kinds of emergencies, ranging from minor injuries to serious casualties in a major road or rail accident. Your primary goal would be to meet people's immediate needs for care or treatment. dress wounds and applying splints. You would also be responsible for checking the efficiency of the vehicle and on-board equipment. Accurate record keeping is also an essential part of the job. The emergency ambulance service is available 24 hours a day, 365 days a year. You would be trained in advanced driving skills and work on traditional ambulances and other rapid response units including cars and motorcycles. You could also work as part of a helicopter ambulance crew. To work as a paramedic you must be registered with the Health Professions Council (HPC). To apply for enrolment on the register you need to complete an approved qualification and period of clinical training with an ambulance service. The HPC holds details of approved training providers (see Further Information). There are two routes leading to registration as a paramedic. Eleven universities offer HPC approved courses leading to a foundation degree, Diploma of Higher Education (DipHE) or degree in paramedic science (including clinical practice). between one and three A levels including a life science or natural science. Please check with universities for exact entry details because alternatives, such as a relevant Access to Higher Education qualification, may also be accepted. This route involves joining the ambulance service as an ambulance care assistant (some services may allow entry at technician level). When you have gained experience and promotion to ambulance technician, you may be able to apply through open competition for a place on paramedic training (leading to the Institute of Health Care Development qualification). This option is becoming increasingly difficult to find as ambulance services throughout the UK are carrying out a major work force review. The role of ambulance technician will be phased out during 2007 and 2008, as the new emergency care assistant role is introduced. Many services are now prefering to recruit paramedics through the higher education route. You should contact your local ambulance service for further advice (the Ambulance Service Association has a list on their website). to have a medical test, and show you are physically able to do the job. Driving - you will also need a full manual driving licence for at least one year. If you passed your driving test after 1996, you will need an extra driving qualification (known as C1 and D1) which will allow you to drive passenger carrying, medium sized vehicles over 3.5 tonnes. Some ambulance services may support you through this extra driving qualification, however, this is not standard practice. All ambulance services conduct a CRB police check. working as an ambulance technician earning a salary. 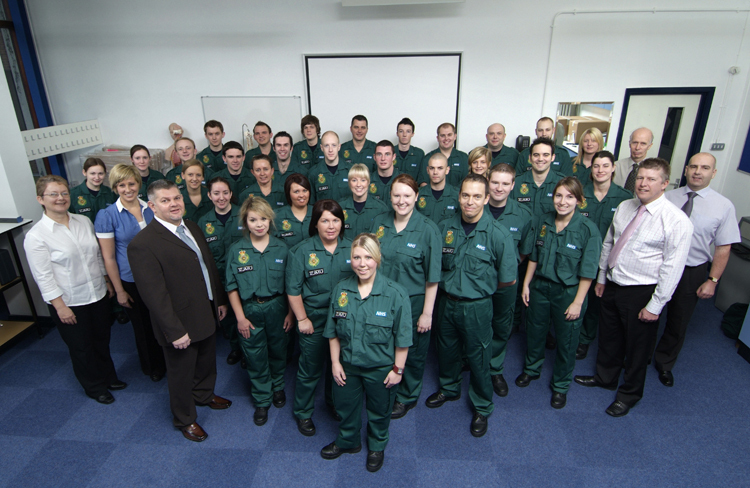 Part-time programmes take between two and five years to complete and are usually only open to practising paramedics who wish to achieve a qualification. To become a registered paramedic through this route, you will usually need at least one year's experience as a fully qualified ambulance technician. You can then apply, through open competition, for paramedic training. Once accepted you will follow an intensive course lasting 10-12 weeks, which leads to the Institute of Health Care Development (IHCD) qualification. On the course you will gain experience in a range of hospital departments, including the operating theatre, coronary care unit, and accident and emergency. You will also study areas such as anatomy, physiology, pharmacology and advanced patient assessment. When you pass all the assessments, you qualify as a paramedic and can apply for registration with the HPC.